At 7.20am I entered Westminster tube station for another journey into North London. Half-an-hour later I emerged at Tottenham Hale and waited for the 08:13 Greater Anglia train towards Bishops Stortford. 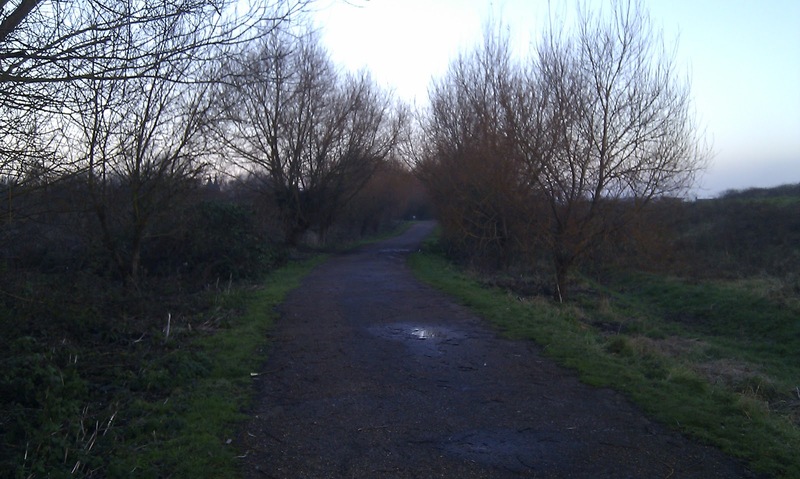 9 minutes later I arrived at Enfield Lock and continued the rest of my journey on foot. 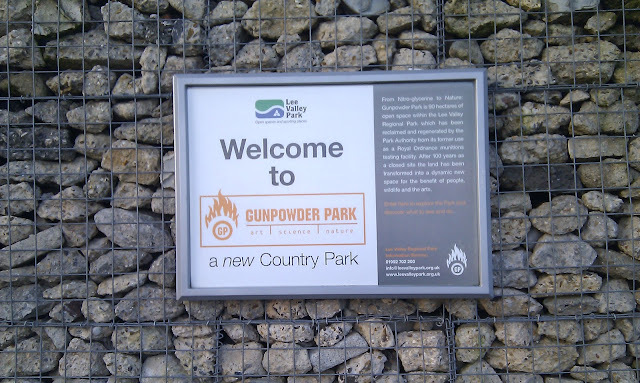 The entrance to Gunpowder park is about 1km from the station, once in the park it's about another kilometre to reach the main entrance, car park, visitor centre, toilets, and the parkrun registration area. Entering at the far end of the park gave me the opportunity to check out the course - which was good. 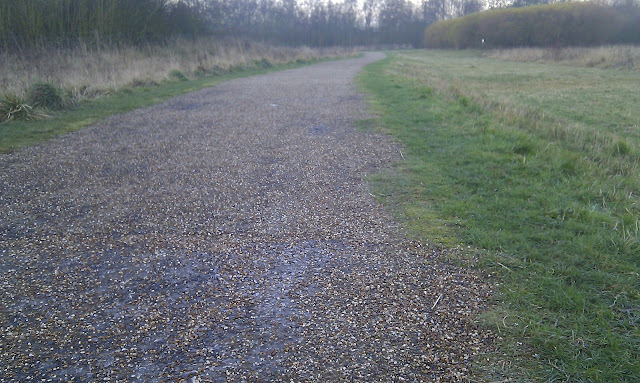 It was a chilly morning (approx 3 degrees) so I was quite wrapped up. I made the mistake of jogging between the station and the start without removing any outer layers so once I had arrived I had already started to sweat, which meant I started the run in slightly damp running gear - I should know better by now. I went around to HQ and found a spot to leave my bag, there were plenty of people gathered and lots of runners had also found spots to park their bicycles and leave their belongings. The course is run all on paths and, as you can see from the photo above, are kind of gravely with some of the stones being loose. 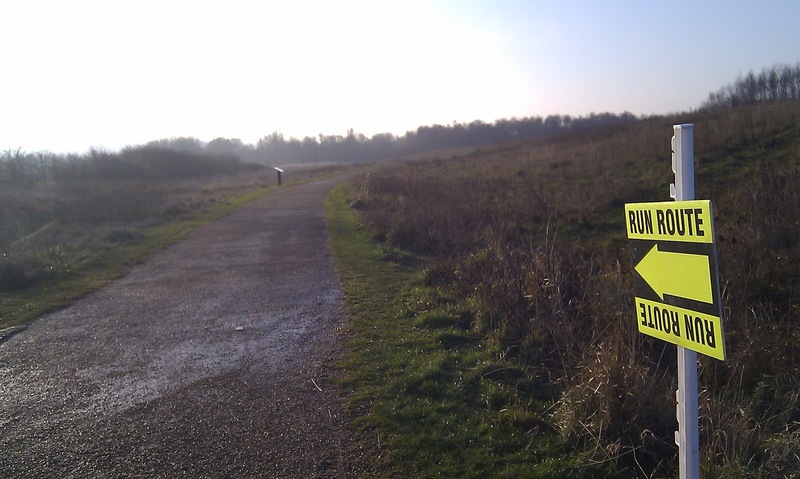 This is not a flat course but by no means is it hilly. This fits into the slightly undulating category (I'd say it adds about 30 seconds or so to the overall time versus a flat course). The park used to belong to the military and as the name hints at, was used to develop and test explosives. You can still see reminders of this as you make your way around the park. 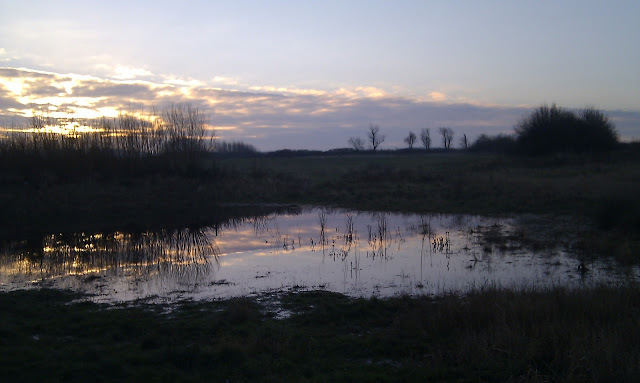 There are also some wildlife areas and bat viewing areas. The grass areas were still holding onto a lot of water but the paths only had the occasional puddle. The run started, as always, at 9am and the 52 runners set off at varying paces into the distance. I felt pretty sluggish and couldn't really settle into a decent rhythm. I just put my head down and got on with the task at hand and in the end it worked out fine. I carried on around the meandering paths - gradually ascending and descending as the elevation gently changes. The steepest of the inclines occurs along the back straight section, but even that in itself isn't too bad. Two and a bit laps are required to complete the full 5k. 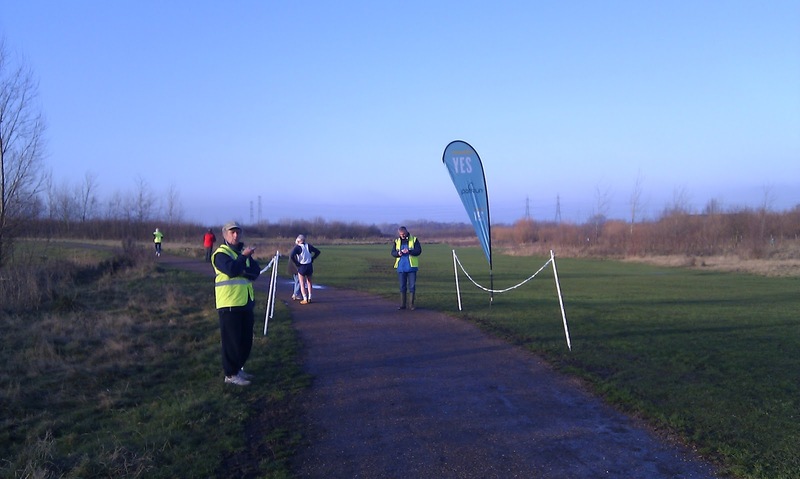 And in true parkrun style, as you reach the half-way point there is lots of encouragement from the volunteers and supporters. 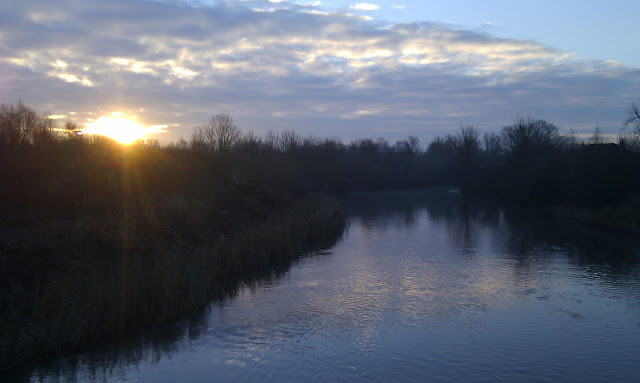 My half-way time was slightly slower than in previous weeks but that was expected due to the undulations. 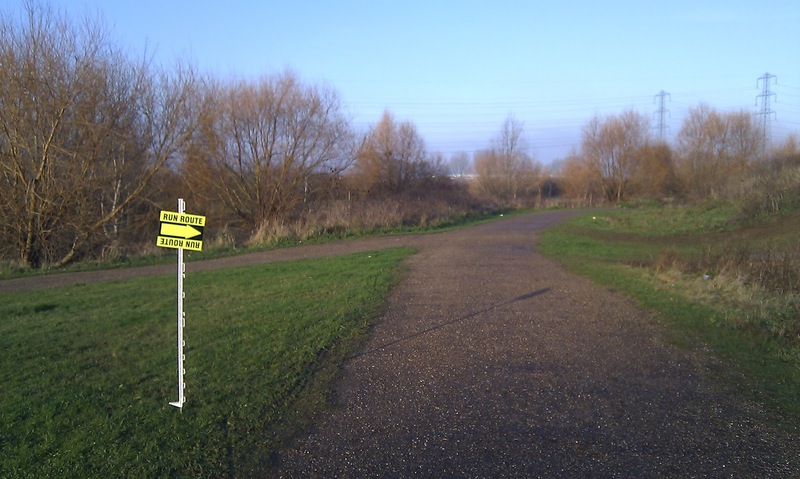 The course is not marshaled but the route is very easily followed thanks to some well placed direction signs. Before I knew it I was heading back past the visitor centre and onto the final few metres and, finally, the opportunity to stop running. 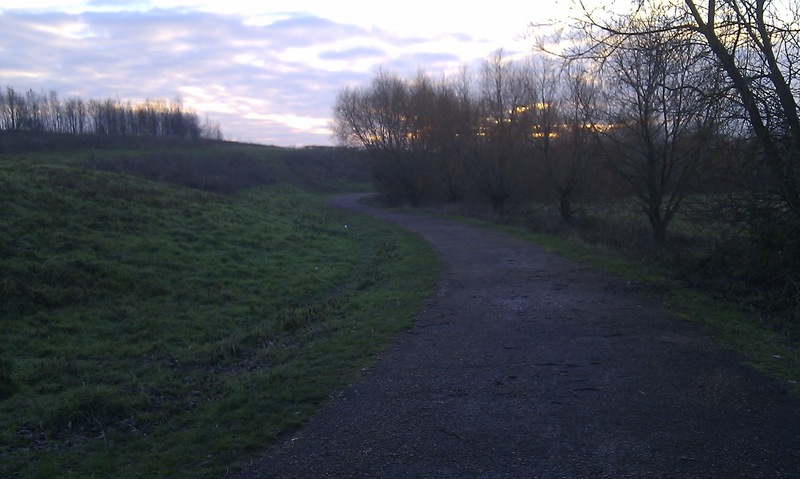 Scanning taken care of very efficiently, I packed up my things and walked back through the park and towards Enfield Lock station to catch the train back to somewhere familiar. Being born-and-bred in South London, I've never really had any reason to venture into North London in the past so I still feel quite out of place up there. 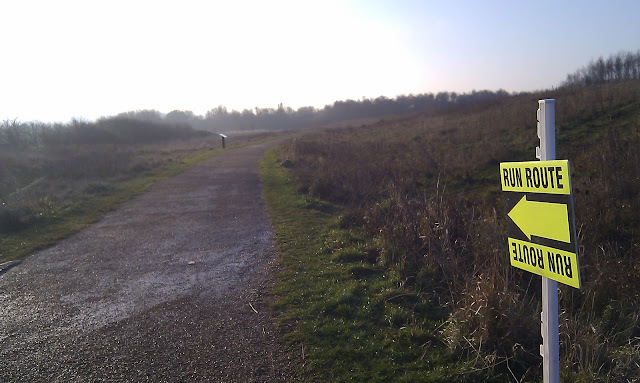 Another nice parkrun that is well worth a visit. 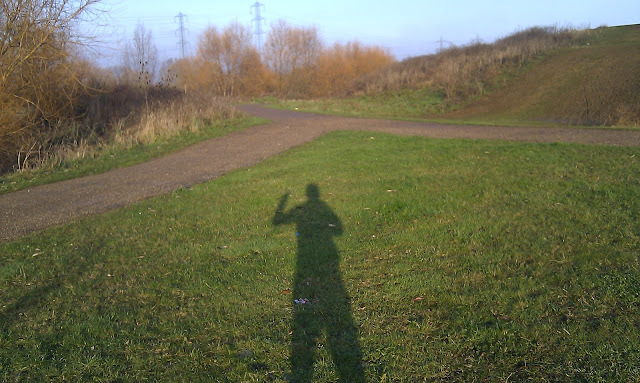 The only odd thing that happened was both of my .gpx files from the day (warmup and parkrun) are corrupt. Could it have anything to do with the previous use of the land?